Plenty of ways to entertain a bored child with these colorful kids puzzles. Get them off of devices for a change of pace. 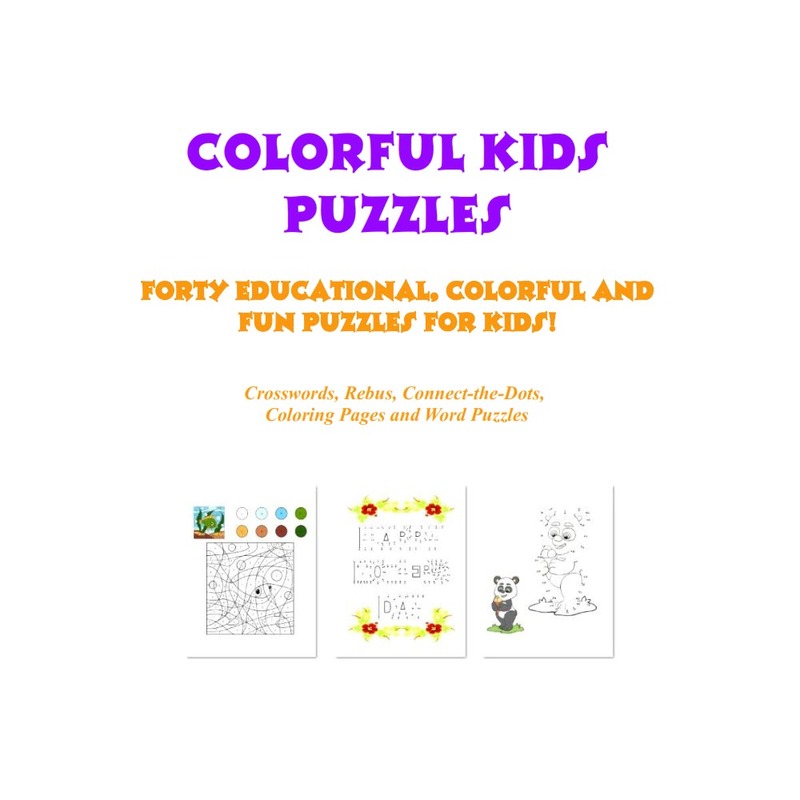 These colorful kids puzzles are not only fun for kids, but educational. 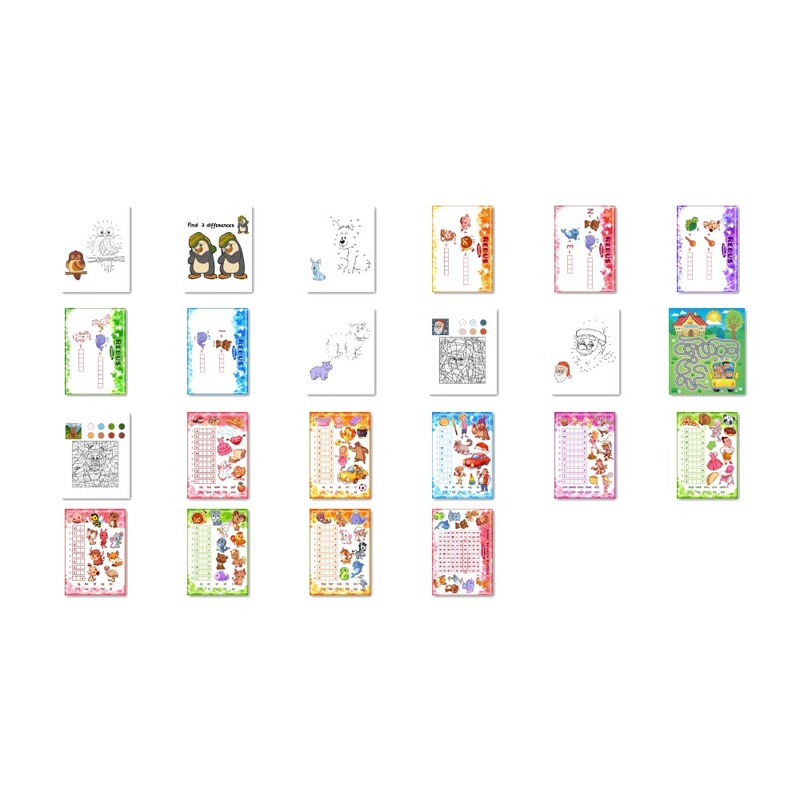 They help teach spelling, words, letters, numbers, colors, etc. 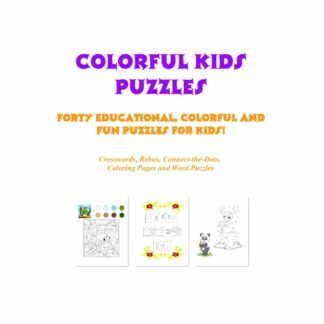 A colorful kids puzzles printable e-book with 40 activities for kids! 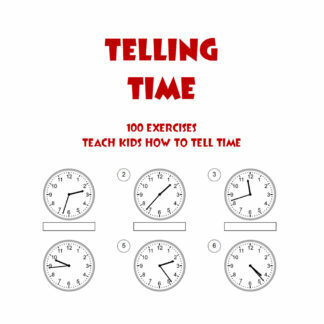 This e-book includes dot-to-dot puzzles, word game puzzles, crossword puzzles, paint by number coloring pages, rebus puzzles, and a couple of mazes. The dot-to-dots can be colored after the picture is completed. Print some up when you go to a restaurant, church or appointment to keep you child occupied while waiting or needing to sit still. 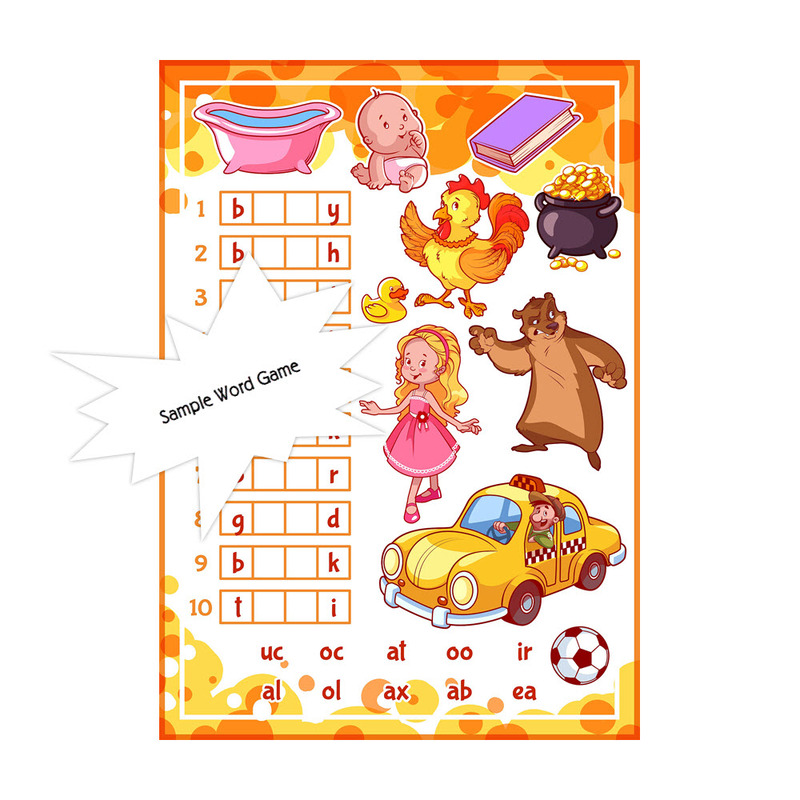 The puzzles come to you in the form of a PDF download, which you will receive immediately after your payment is processed (10 minutes max – usually less). Nothing will be mailed to you with this order. Not only is the Colorful Kids Puzzle e-book Eco-friendly in its PDF format, it’s extremely budget-friendly. This is due to the fact that you can use them over and over and over again. Keep a back-up copy and you’ll have these as long as you need them. 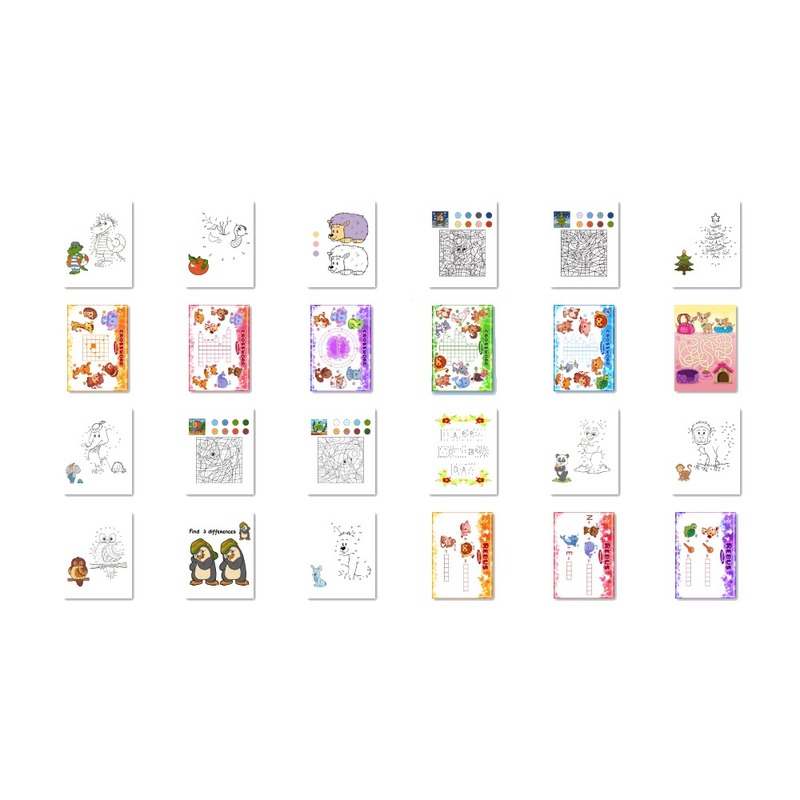 The download for the Colorful Kids Puzzles Printable e-Book is quick (under 20 MB). You then simply open your PDF file, find a page you want to print and click print! To just print one page, simply use the option in your PDF reader to “print current page”. To navigate the e-book, you can use your PDF reader’s bookmarks or use the table of contents, in which all the pages are linked to the corresponding pages. The images include a thumbnail screen shot of all 40 puzzles. 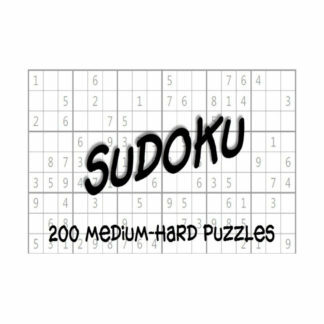 Check out our other puzzles, mazes and more so you don’t have to be bored any more! Due to the nature of digital goods, I cannot offer refunds; however, should you have any difficulty or lose / misplace your book(s), I’d be happy to send a new copy within 30 days after purchase.